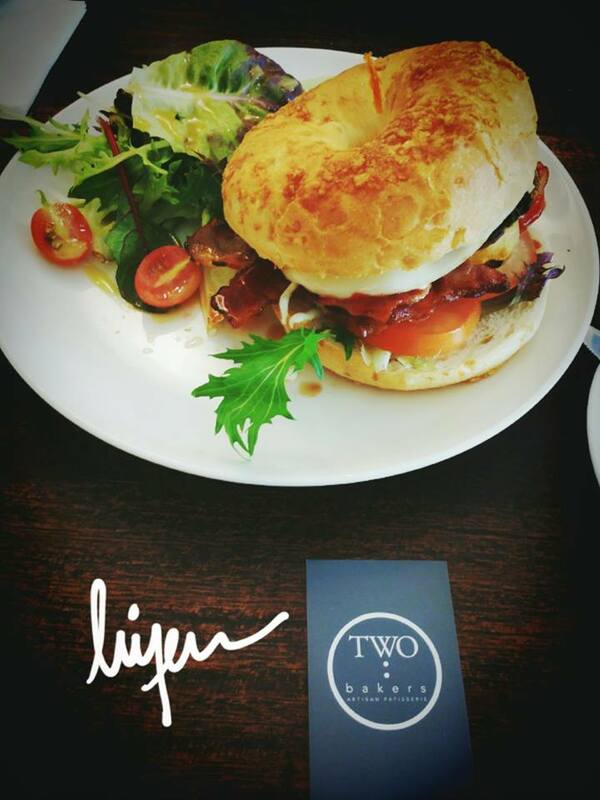 Bagel with bacon, egg, hash brown and salad with special sauce. And, I forgot the name of this sandwich. ^^ Anyway, our main desserts are these two beauties in which both of us caught in first sight. 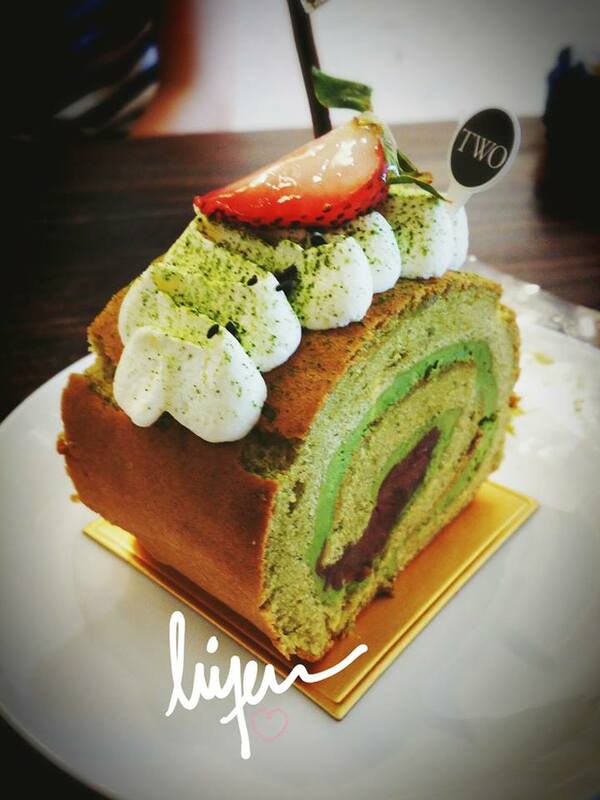 The Matcha Swiss Roll contains strong green tea taste which I feel slightly overdo. First few bites are great but when the green tea taste covers all over my mouth, I need to find other things to balance out. 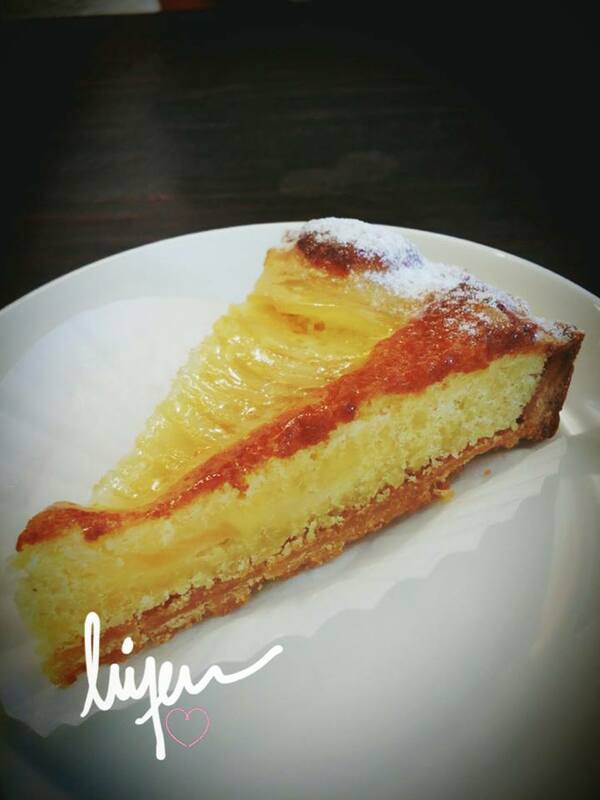 The pear almond pie. The pie isn’t sweet, taste just right and nicely presented.